Welcome to the 639th Edition of my series. Now we must start our Sundays without football. I was very satisfied with the super bowl game last week in a very offensive battle. Nick Foles was able to go toe to toe with Tom Brady and survive. People can say what they will about Mr. Brady but he is very relentless and Foles stood up to him very well. I was hoping to make my debut for the theater group at the Heorot in a play called THE MAIDS but not enough people were found and the how had to be scrapped. I have some other prospects so I will keep informed as I go along. I think I've said enough so I'll get on with my selections for the week. 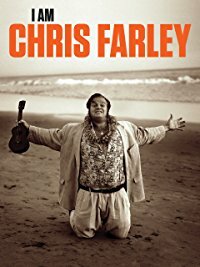 I am Chris Farley (2015): I start the week out with this documentary an in fact one of four documentaries I have this week. This one takes a look at the popular SNL alum from the '90s and covers his short life. This takes a look some at his childhood and events that lead him into go into acting. It also goes into his time with the Second City group until he was picked up for SATURDAY NIGHT LIVE. Unfortunately, he also problems with other drugs that contributed to cutting his life short despite having some unforgettable times on SNL and in his brief movie career. I was not aware that his famous Matt Foley character was originally on Second City but brought to SNL. I was always upset they didn't make a movie for that character. I think the most enjoyable parts of this documentary was reliving some really hilarious moments from the very unique comedian. There are also interviews from his family and peers reflecting on their times with Mr. Farley. Sky Scrappers (1928): This is my animated short for the week which is an old one that comes from the early days of Disney and features Oswald the Lucky Rabbit. 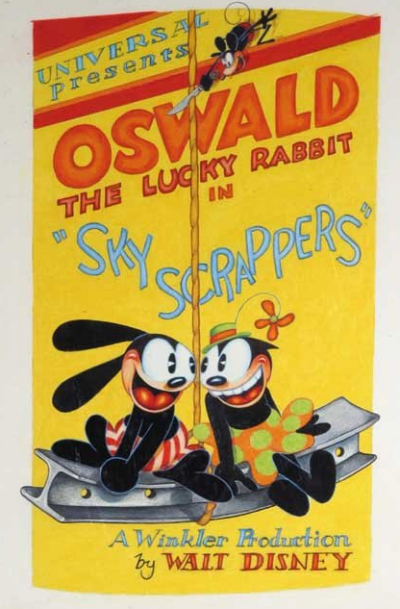 This is some silent animation that features Oswald as a construction worker that must save his sweetheart when his boss makes advances at her. This was a character that was a bit of a blueprint to Disney's icon Mickey Mouse. The drawing of the character is very similar to that of the later Mickey. Disney would go onto top this work but still rather enjoyable seeing as they had to start somewhere and good for fans of classic animation. There are a lot of these available on Youtube. 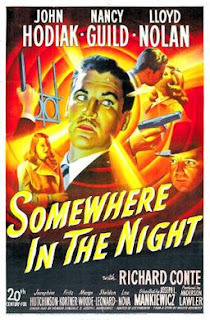 Somewhere in the Night (1946): Joseph L. Mankiewicz directed this film noir for the week. John Hodiak stars as George W. Taylor who is a returning WWII soldier that has amnesia and does what he can to piece his life together stumbling onto very questionable clues upon his quest. Nancy Guild, Lloyd Nolan, Richard Conte, Josephine Hutchinson, Sheldon Leonard, and many others co-star in this film. This was a really good into into the noir genre and has some really good mystery and suspense. 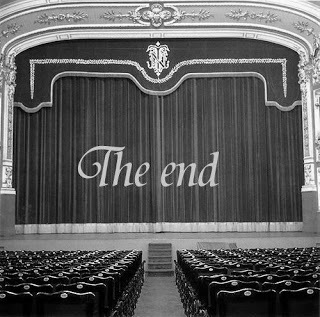 I tend to have one of these types of movies every week as they are my favorite genre from this era. These kind of pushed the envelope more than others and this was no exception. This is a really good amnesiac story and deserves more exposure. 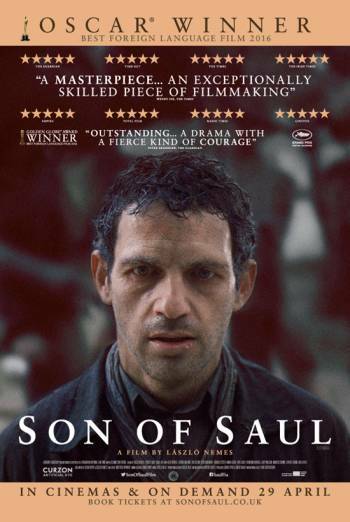 Son of Saul (2015): Laszlo Nemes wrote and makes his directorial debut in this Holocaust film that take place in Auschwitz. Geza Rohrig stars as Saul Auslander who is a Hungarian prison working for a group called Sonderkommando at one of the crematoriums. He comes across a boy who he takes for his son and risks his life to give the boy a proper burial as well as finding a rabbi to help with the process. Levente Molnar, Urs Rechn, and many others co-star in this film. This is a pretty good character study of a man struggling with his morality to do something he feels is right no matter what the cost. This movie was inspired by a book called THE SCROLLS OF AUSCHWITZ which was a collection of testimonials from members of Sonderkommando. Nemes took the subject matter very seriously and makes a great directorial debut. 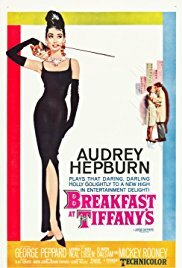 Breakfast and Tiffany's (1961): Blake Edwards directed this film based on the novel by Truman Capote and could be the one the you have in common with your significant other. THE A-TEAM alum George Peppard stars as writer Paul Varjak who moves into an apartment complex in Manhattan and meets socialite Holly Golightly, played by Audrey Hepburn. They are two absolutely different people forming a relationship with each other with Holly's lifestyle making it very complicated. Mickey Rooney co-stars in a very politically incorrect performance as Mr. Yunioshi. Patricia Neal, Buddy Ebsen, Martin Balsam, and many others co-star in this film. I have always enjoyed this romantic comedy which might be the wrong word for it. Maybe what I enjoy is the contrast of the leads working together and their really good performances as well as the climax of the movie. I watched this at my local library but it is also available to watch on Netflix. 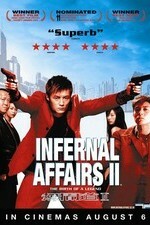 Infernal Affairs 2 (2003): I know in my first selection that I have four documentaries but I also have two foreign language films and this is the second one. Andrew Lau and Alan Mak directed this prequel to their 2002 hit. Edison Chen and Shawn Yue play the younger versions of characters Lau Kin Ming and Chan Wing Yan which Andy Lau and Tony Leung play in the first one. Chan gets expelled by the academy but given a chance to go undercover to infiltrate his Triad family. Anthony Wong, Eric Tsang, Carina Lau, Francis Ng, Jun Hu, and many others co-star in this film. This is one where the first one should probably get watched before viewing this one. This is part two of the trilogy, which I might look into in the future. This was a pretty good prequel that had its own story to set itself apart from the first one. 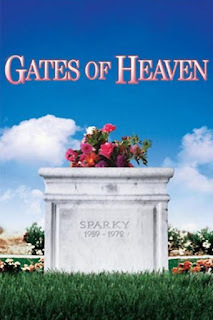 Gates of Heaven (1978): Last week, I featured the Roger Ebert documentary LIFE ITSELF where director Errol Morris expressed his gratitude about Ebert in helping this particular documentary with the publicity it needed so I decided to look into this film. 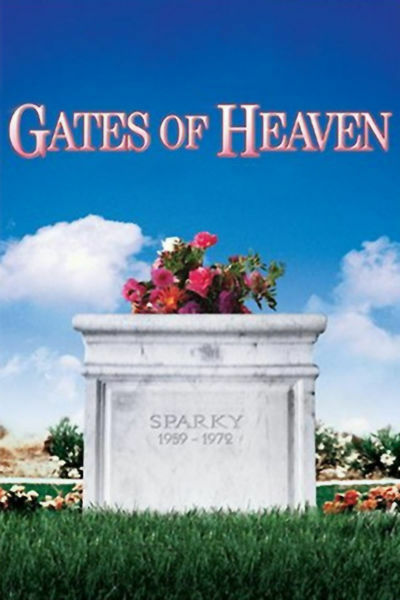 This takes place in a California town where an everyday man named Floyd McClure who has a very unusual vision of starting a pet cemetery only to fail. The documentary also goes to a more successful pet cemetery. ran by a father and his two The documentary features interviews of Floyd and others who have helped as well as some of the locals through the ups and downs of this pet cemetery through all the changes. This could very well be the inspiration for Stephen King's very famous novel. While I don't really share Ebert's opinion of being of the the ten best movies of all time, = Morris does a great job of directing this film and becomes a really good documentary director. This is available to watch on Netflix. Bobby Fischer Against the World (2011): Liz Garbus directed this life on the legendary chess player in the title. 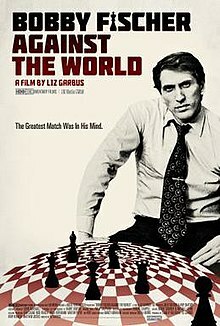 This takes a look at the very strange and rather isolated man whose life seemed to have only really revolved around chess. It goes into his times as a world champion where he defeated Russian Boris Spassky where he got a rock star sort of following and became a bit of a Cold War icon before ROCKY IV ever came out. There was even a time where he became a fugitive due to some rather complicated laws. I cannot even begin to cover this man that helped make Chess what it is today. There are interviews of mostly his peers and rivals in the chess world. This is a game where I know how the pieces move but I cannot win. This is a very compelling documentary and very eye-opening about the legend. 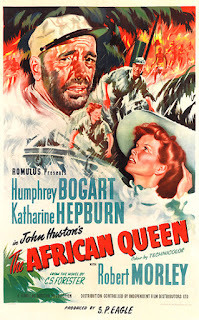 The African Queen (1951): Along with BREAKFAST AT TIFFANY'S, I believe these are the only mainstream films I have this week. John Huston directed this film based on the novel by C.S. Forester. This takes place during WWI in Africa where Humphrey Bogart stars as gin-swilling riverboat captain Charlie Allnutt who is persuaded by missionary Rose Sayer, played by Katherine Hepburn, to use his boat to attack an enemy warship. Robert Morley, Peter Bull, Theodore Bikel, Walter Gotell, and many others co-star in this film. Most of the focus was the developing relationship between Bogart and Hepburn whose contrasting characters play off each other perfectly. Before being asked, no I did not purposely put Katherine Hepburn and Audrey Hepburn in the same list and no there was no relation as Audrey Hepburn was only her stage name. This is also Bogart's only Oscar that he won and deserved it in this movie. This is available to watch on Netflix. Strong Island (2017): Last week, I took a look at Oscar nominated documentary LAST MEN IN ALEPPO so decided to try this other Oscar nominated documentary. Yance Ford directed this very personal documentary which examines the murder of his brother and looks to see what made his killer go free. This also takes a look at himself and the family and how they were effected by the murder. It also takes a look at the racial fear that lead to the killing. This was obviously a very personal project for Ford and really makes us think while watching This is available to watch on Netflix and as mentioned is another nominee this year for best documentary. 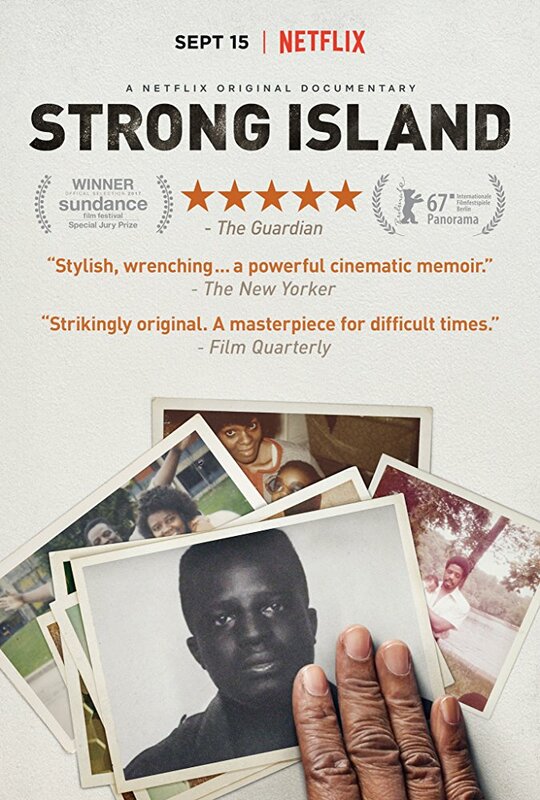 They also have a website at https://www.strongislandfilm.com/. Well, that is it for this week. 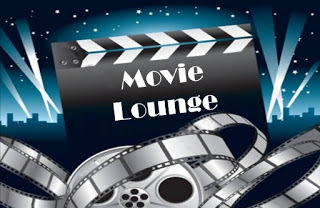 Tell me what you like and dislike and stay tuned for next week which so far includes Kim Basinger, Tippi Hedren, and many others.